Touch of Silver is one of those brands you wonder why you haven’t fallen in love with sooner! 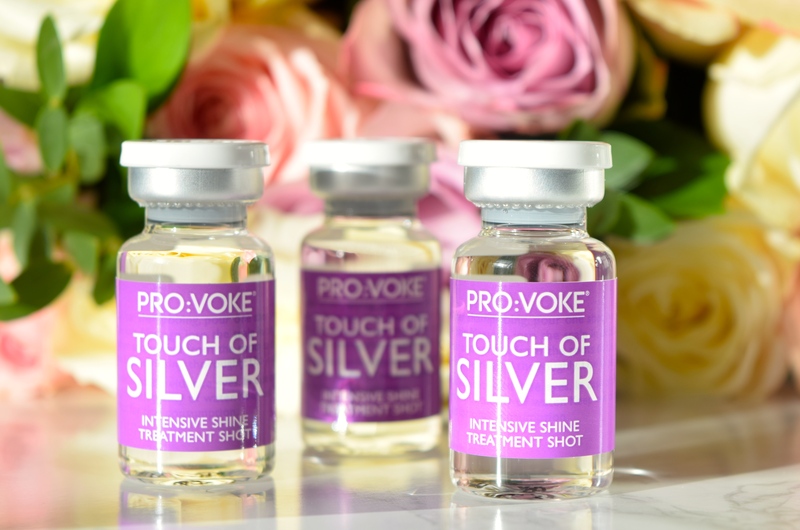 I use their purple shampoo incredibly regularly, as it cuts through brassiness in my hair, and leaves it super soft and shiny, so, when I saw that PRO:VOKE had released these dinky little shots, I couldn’t wait to give them a shot! After shampooing as normal (btw the Touch of Silver shampoo smells incredible – like grape candy) I unwrapped one of the vials and got to work. You use the shot instead of your regular conditioner, and I smoothed it from root to tip. The shot has a super light texture, and Felt like it really sank in whilst I got down to business in the shower. After leaving it in for a good ten minutes, I hosed my hair down like normal, and got to work styling my hair like normal. 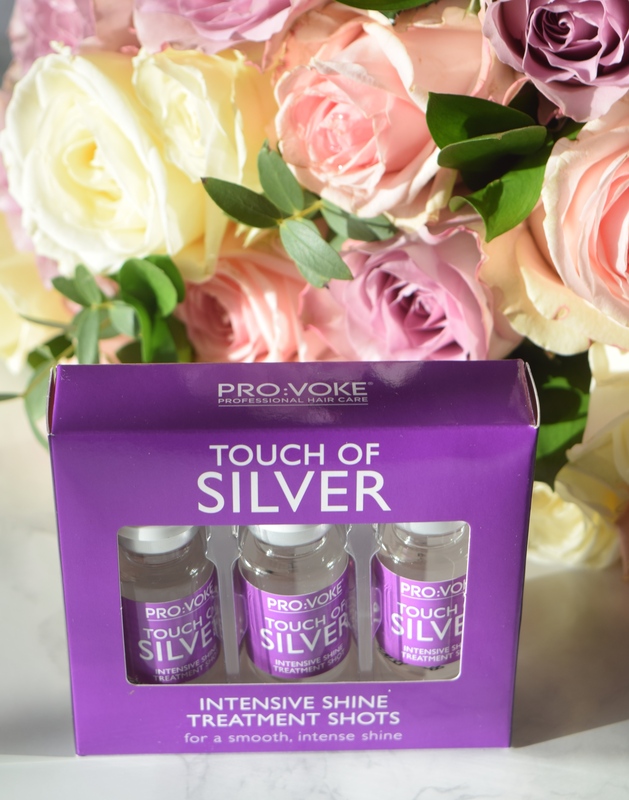 Although the shot doesn’t smell quite as awesome as the other Touch of Silver products I’ve tried, it really did make a noticeable difference to my hair – it felt really soft, and was far shinier than before. These are such a great, and affordable addition to your haircare regime, you have to check them out, no matter what hair colour you are! The shots are priced at £6.99 and are available here.